If a brand want people to remember what it stands for, it should add a special smell to the item! Research, presented on Neurosciencemarketing.com´s blog shows that if the product smells - especially of something that is relevant - people will keep the product in their memory for longer. Which we all know is great for selling more. 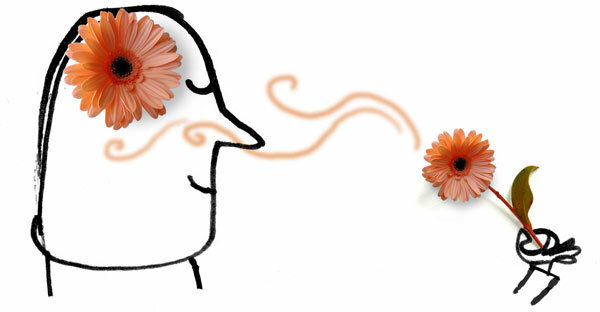 From the researchers: “Product scent may be particularly effective at enhancing memory for product information as a function of its ability to enhance a product’s distinctiveness within its surrounding context,” write authors Aradhna Krishna (University of Michigan), May Lwin (Nanyang Technological University, Singapore), and Maureen Morrin (Rutgers University). Another experiment tested the effects of ambient scent; the researchers found that recall of all objects in an environment was improved by an ambient scent, the recall of individual products wasn’t aided significantly.